The ATL DPS1 is capable of measuring and controlling voltages at its inputs, selecting the most ideal to connect to the output. It is suitable to supply motorised circuit breakers and changeover switches in automatic switching systems of 2 three phase supply lines. The two voltage inputs of the module are independent and insulated; each is capable of supplying the internal measuring circuit managed by the micro-controller. It reduces the number of components and improves installation safety. – Voltage value selectable via bypass terminals. – Minimum and maximum voltage tripping thresholds. – 2 single phase L+N inputs. – 1 single phase L+N output. – Use with motorised control units powered at 110VAC or 230VAC. – Indicating LEDs for abnormal conditions and status of inputs and outputs. – Rated supply voltage: 110…230VAC configurable. – Input voltage range: 80…300VAC. – Voltage tripping thresholds min/max 80% and 120% set value. 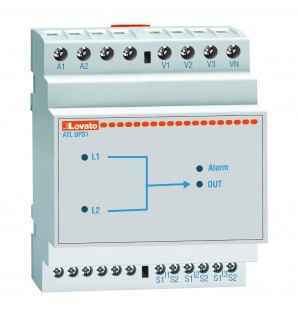 – 2 line inputs L1-L2: Single phase, between phase and neutral. – Current output: 4A max. – Priority line: L1 when both input values are within limits. – Fixed delay time between line switching: 0.5s. – 4 status indication LEDs for voltage of each line within limits, voltage present at output, relay output anomaly. – Mounting: 35mm DIN rail (IEC/EN 60715) or screw type by means of removable clips. – Modular housing, 3 module. – Protection rating: IP40 on front; IP20 at rear. 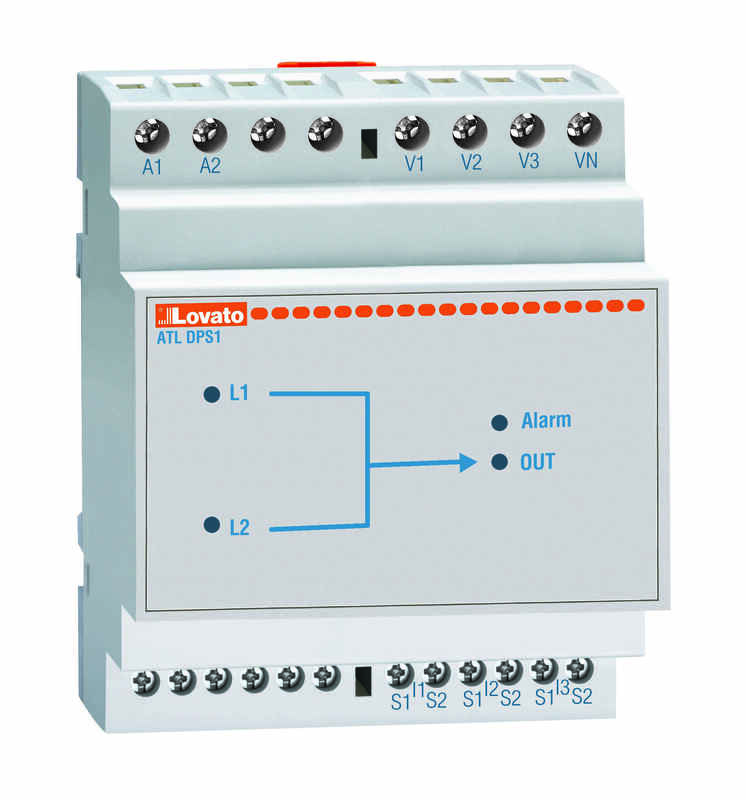 ATLDPS1 For controlling and selecting supply for motorised breakers/switches, 110…230VAC configurable.